When I started seeing these little houses for books pop up around various places in our neighborhood a year ago I thought, ‘Wow, we are so cool!” And, come on, we are. 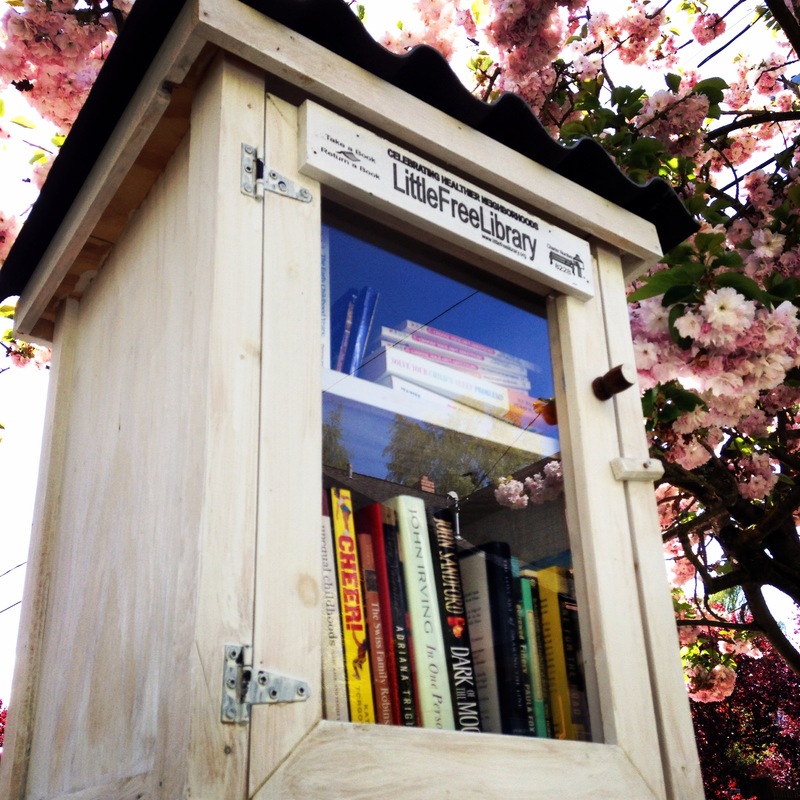 For many reasons, the free little library was only one. But beyond that, I never gave them much more thought. Until I walked by one today. I know how it works: take a book, read it, return it to the same ‘library’ or another one in the neighborhood, donate a book…but I wanted to know who made the houses…they all had the same little title plaque but were all different. So I hopped online and discovered this little library system was greater than our Seattle neighborhood. It was a world-wide volunteer program where people share books with others in their community. And the houses? You can buy one from the Free Little Library not-for-profit organization (eeks…they’re a little spendy but it you can’t build even a house of cards like me, probably the way to go) or make your own and buy a plaque. And if you want to check out how widespread this idea has grown, just click on their map! With more knowledge, I love this idea even more. And will be leaving the gift of Racing in the Rain once finished and will borrow something. Just thankful someone else is currently reading the dictionary that was there last week. This entry was posted in just life. Bookmark the permalink. the tagliolini with one farm egg at cantinetta, bellevue. Love food, cocktails, wine, cheese...in that order. I'm more savory than sweet, but don't be fooled; savory can be treacherous for the waistline. Therefore, I run. Every day is spent living the life I love. appearing on this site are all copyright 2010-2013 by Victoria Woodarski unless otherwise noted.